Fifteen companies and six public-safety organizations demonstrated how TETRA communications can be complemented with new critical broadband capabilities in Espoo, Finland. In Finland, the shared VIRVE critical communications network has enabled the authorities to use available commercial broadband data services as part of their daily operations. The companies demonstrated critical end-to-end services leveraging a range of solutions including simulation of operational communications, emergency response center call-taking and dispatching to critical networks, devices, accessories and applications. These solutions increase the criticality level in business- and consumer-oriented commercial networks. 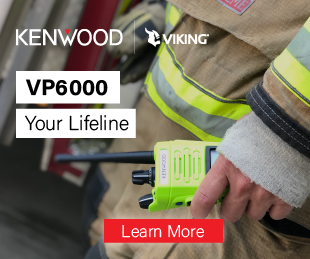 One solution is the capability to enable any commercial Long Term Evolution (LTE) network to support critical-level connectivity for public safety through local control functionality. In the demonstration, an LTE network was used as the radio access, Roger GPS provided synchronization signal base through its GNSS repeater, and the Cloudstreet local control software made it possible to manage a user’s quality of service (QoS) parameters based on user requests securing required critical data communications capacity. The demonstration was part of the TCCA Critical Communications Broadband Group (CCBG) plenary held 25 – 27th October in Espoo and hosted by TCCA member Nokia. More than 55 organizations from Europe and the Middle East participated in the event.